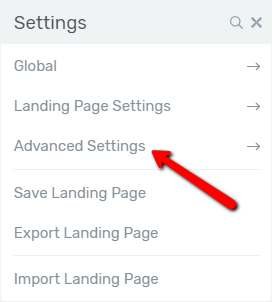 When you're creating a landing page, you may wish to include custom scripts in the header, body or footer of your page (for instance to track conversions). 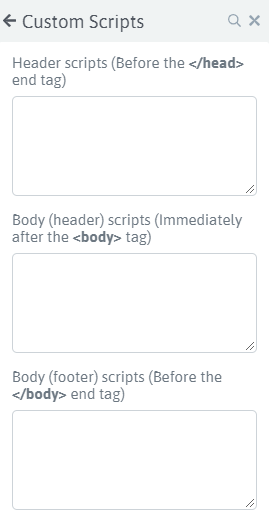 Anything you insert into these fields will appear in the landing page in the corresponding header, body or footer section. Thus, you can add your custom scripts in the respective fields and they will be added to your website. 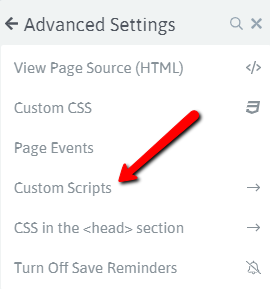 If you are interested in adding your script to all the Thrive Architect landing pages that you have created, you can do that, by following the instructions in the "How to Use the Landing Pages Analytics & Scripts Manager" article.